By now, everyone has heard of Minecraft. And most likely you either have a child who plays the game or know a child who plays the game. But how many parents are playing too? I started playing this year when my now-adult son and my seven year old both asked me to join in. I’d declined for a long time — it’s not my kind of game, I’ve got too many other things I should be doing instead, I don’t think I’ll be very good at it; all were reasons that I gave. And then I finally gave in. The first time I played, we tried creative mode. I wanted to get used to the commands without worrying about zombies or creepers. I spent over an hour building and furnishing a tiny one-room house next to a lake. My seven year old, in that same amount of time, built and furnished a house, planted a garden, created a crafting table and started gathering resources. It was amazing to see how easily he navigated the game, and how creative it allowed him to be. From that moment on, I was interested, though not exactly hooked. I’ve continued to play with both of my sons, enjoying it more each time, creating worlds, trying my hand at survival mode (which is now my favorite! ), and finally understanding why this game is as popular as it is. So, here are the top ten reasons I play Minecraft. If you’re not already playing, maybe it will convince you to give it a shot too? 10. Minecraft helps improve strategic thinking, resource gathering, and spatial reasoning skills. This is good for kids and for adults as well. 9. The creative aspects of Minecraft are almost limitless. Because it’s an open-ended game with no rules or instructions, there’s no right or wrong way to play. Players of all ages can use their imaginations to build worlds, replicate real-life buildings or cities, and even transform biomes. If you can dream it, you can build it. 8. Minecraft is gender non-specific. It’s not targeted at boys or girls, but at anyone and everyone with imagination and a computer. We need more of this in the world. 7. Minecraft encourages collaborative play, which I appreciate. We play a lot of games in our family, most of which are competitive. It’s a nice balance to play a game that requires us to work together to achieve the goals that we set for ourselves and to survive (those zombies, skeletons, and creepers are no joke!). And, according to a recent article in TechCrunch, collaborative play in Minecraft may predict the future of collaborative work in the real world. 6. I like that Minecraft is multi-platform, which means that we can play different versions of it on PC, console or iPad if we feel like it. 5. Minecraft is community building. Not only has it made it easier to make new friends through this shared interest, it’s also led us to discover the world of family-friendly Minecraft YouTube videos — making us part of the millions-strong community of fans who check in with Stampy, Squashey, and iBallistic Squid (our favorites) each week. 4. At our house, we see Minecraft as educational as well as fun, so it counts as part of our homeschooling. This is important to me because I believe we learn best when we are engaged and having fun. And my seven year old is definitely engaged when he plays Minecraft. Through the game he has become a better reader, has made connections to real life things, is comfortable learning computer coding and keyboarding, and so much more. By playing with him, I can see just how much he’s learning (and how much I’m learning as well). 3. Playing Minecraft with my boys has given me an opportunity to connect with them through something that they love. This has opened up a whole wonderful world of communication between us, and shows them that their interests are as important as my own. 2. My learning to play Minecraft has given my seven year old the opportunity to be the teacher. This is great for so many reasons! First, sometimes having to explain something to someone else helps us understand it more clearly in our own minds. It also gives him a chance to practice giving directions clearly. And it forces me to be patient with myself while he teaches me, and him to be patient with me while I learn. 1. Number one reason why I continue to play Minecraft with my boys….It’s fun. Hanging out together, building, gathering, discovering, and surviving is a great way to spend an hour or so. And thanks to a multitude of Minecraft mods and the fact that the game is open ended, it never gets boring. If you want to read more about the benefits of Minecraft, check out the following links. If you play the game with your kids, I’d love to hear about it in the comments. 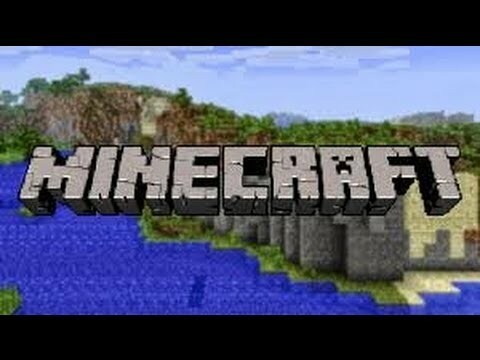 What do you like about Minecraft?